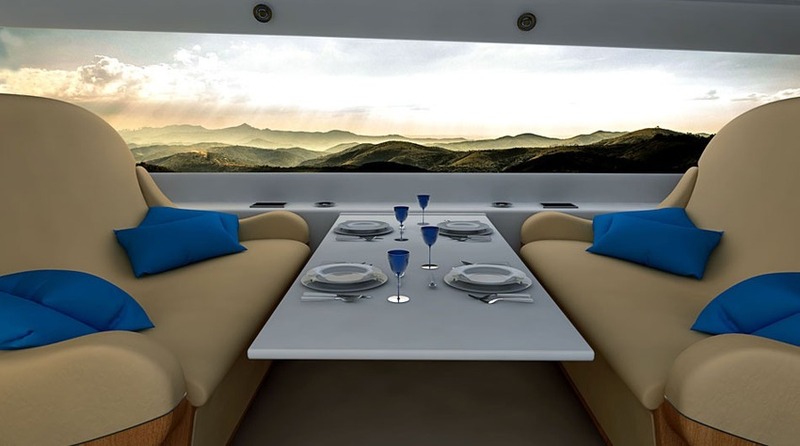 Spike S-512 is a supersonic business jet that enable travelers to reach destinations in half the time it currently takes. Executives will be able to fly from NYC to London in 3-4 hours instead of 6-7 hours. LA to Tokyo in 8 hours instead of 14-16 hours. And while some passengers might be uncomfortable seeing visuals of high-altitude travel from such an immersive perspective, many others will likely jump at the chance to get a never-before-possible window-seat view of the clouds.